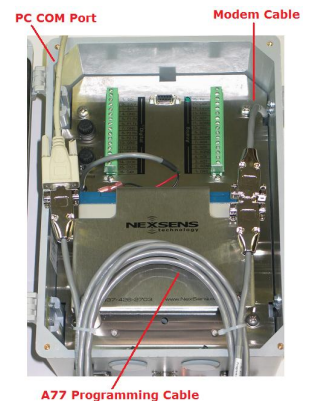 Checking Cellular Modem Signal Strength - NexSens Technology Inc.
To check the signal strength of a 3100-iSIC cellular modem, use a program called AceManager. The utility is available from the support section of the Sierra Wireless website: www.sierrawireless.com or on one of the Modem Setup Software downloads on the NexSens downloads page. After installing AceManager on the computer, open the program and click Connect. Select UDP as the connection type. Enter the IP address of the modem. 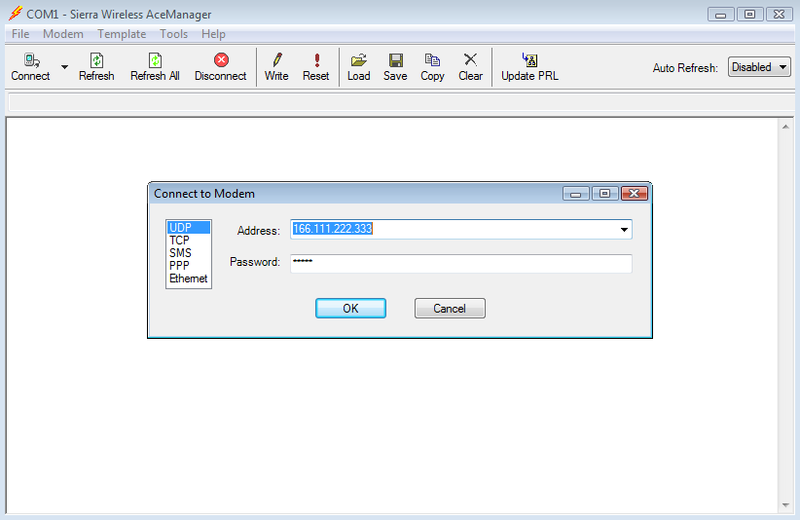 Do not change the password and click OK.
AceManager will connect to the modem. If successful it will show the modem information in the main part of the screen. Click on the word “Status” and then look at the RSSI Value. The optimal range for 3100-iSIC cellular modems is -60 to -95. Low RSSI will affect the functionality of the unit and the ability to communicate to it. If RSSI is too low (-95 or worse), try moving the data logger to another location, or raising the cellular antenna with a longer RF cable. successfully connected to the PC, attach the antenna, apply power and run AceManager. Then click the connect button and select PPP as the connection type and the COM port the modem is connected to. Do not change the password. Click OK. If the RSSI is below -95, make sure the antenna is connected and try moving the data logger to a location with better cellular signal.